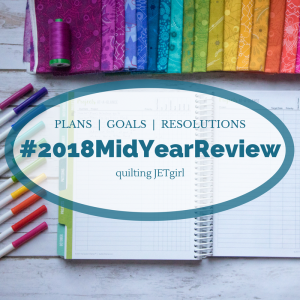 I am SOOOO excited to share my progress with you this month!!! I met exceeded my goal!!! I made 54 charity quilts in 2018!!! 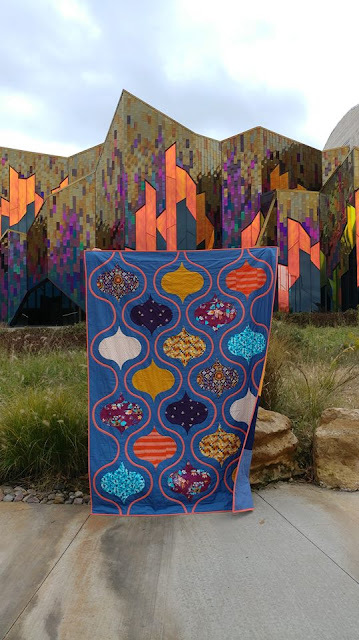 December's Island Batik ambassador challenge was "Whimsical and Wonky." The challenge took much more brainstorming than most months! "Whimsical" isn't exactly my style, so I focused on "wonky." After looking at lots and lots (and lots!) of improv style quilts, I just couldn't get inspired. 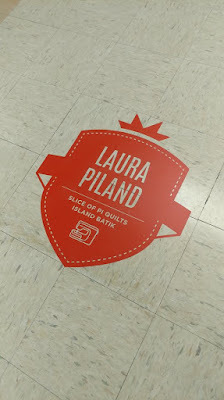 I took a step back and tried to think outside the box about the challenge. 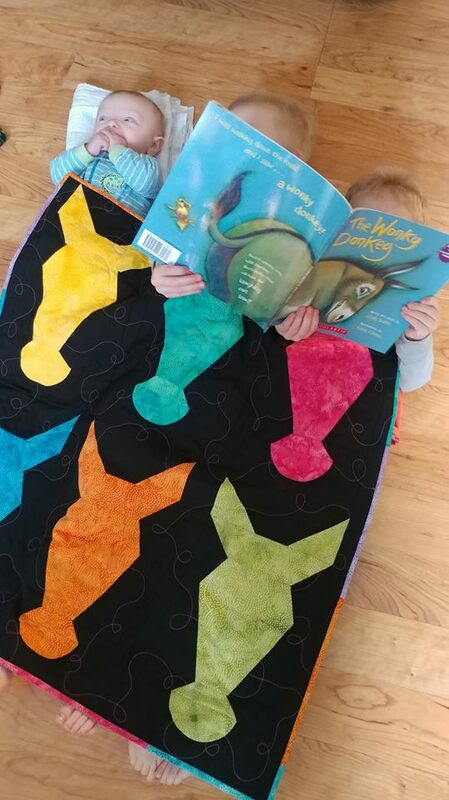 As a mom of three young boys, the only thing my brain can think of when I hear the word "wonky" is the very popular children's book, The Wonky Donkey by Craig Smith. I knew I would have to make a donkey quilt! When I was a child (back in the 80s - I'm vintage now! 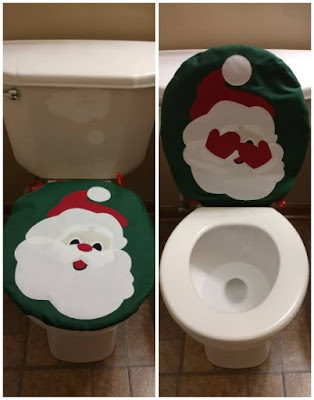 ), my aunt made our family a peeking Santa toilet seat cover. It was a decoration I looked forward to putting out every year! 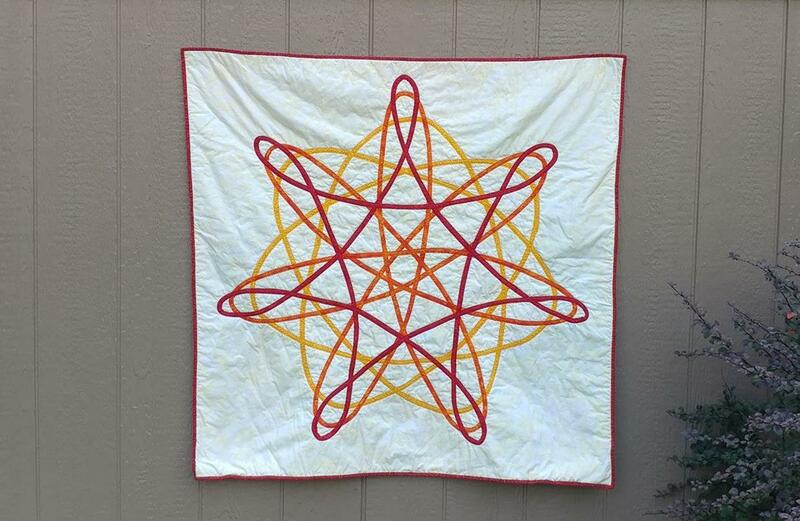 I knew my boys would also appreciate the quirkiness of one, so I've had it on my to-make wish list for several years. 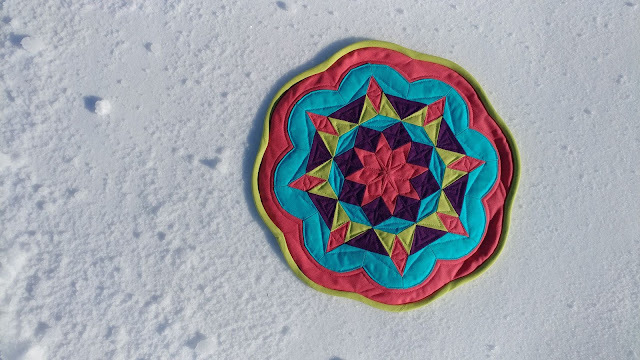 On Christmas Eve this year, I found myself with a few hours of sewing time, so I decided this was the year! The original was made from felt, and the pieces were all hot glued on. Now, as a mom of three boys, I cringe thinking how the one from my childhood would never have been able to be washed! 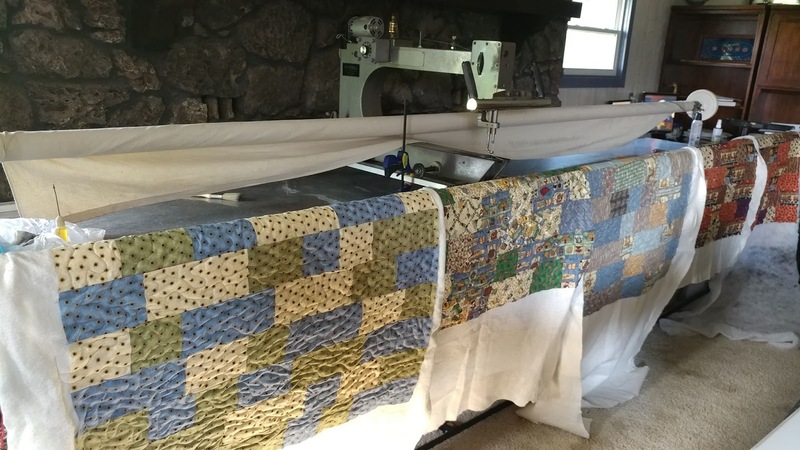 Right before we moved at the end of the summer, I had two quilt deadlines to meet. One was the Glowing Lone Star quilt, and the second was this Tumbling Blocks quilt - both for Craftsy. 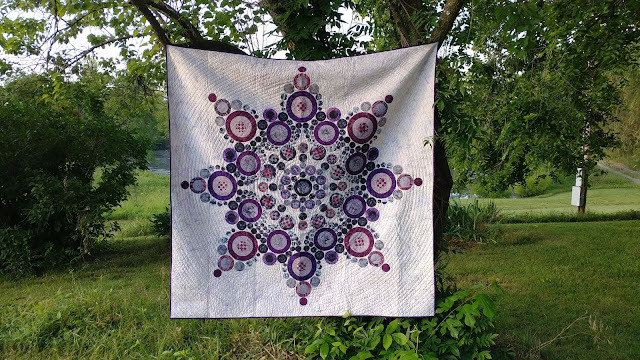 And I can finally share this one with you! 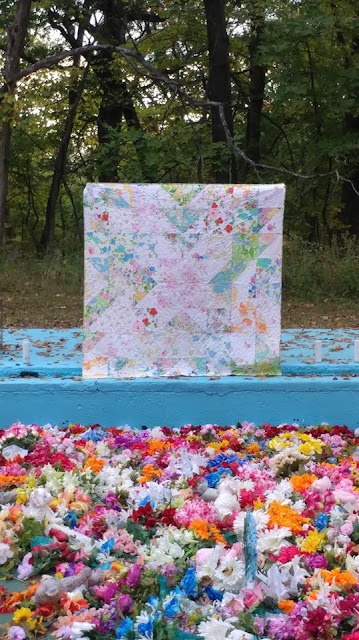 I'm adding TEN quilt tops to my charity quilt endeavor this month! 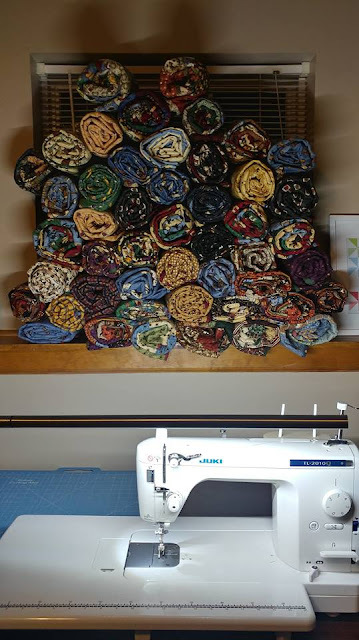 Have you done any charity sewing lately? 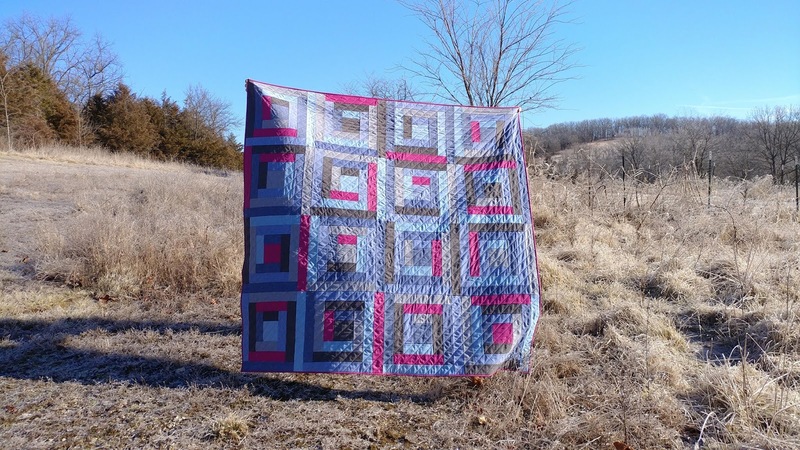 I'm so excited to be able to share my Turning Tiles quilt with you! 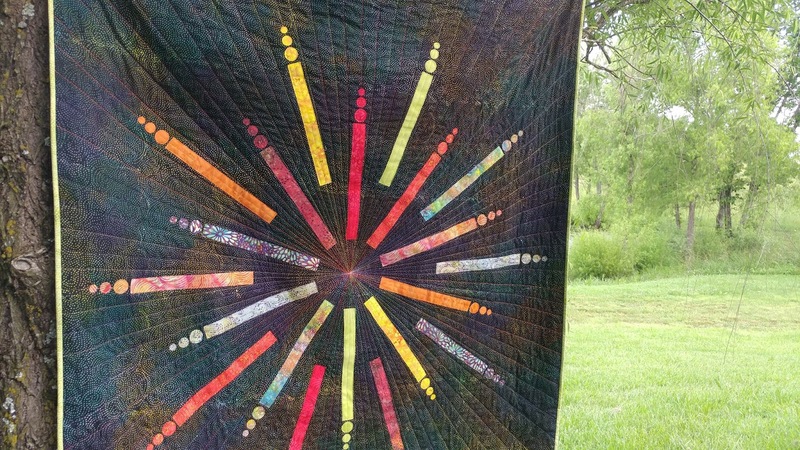 This quilt has quite the story behind it! 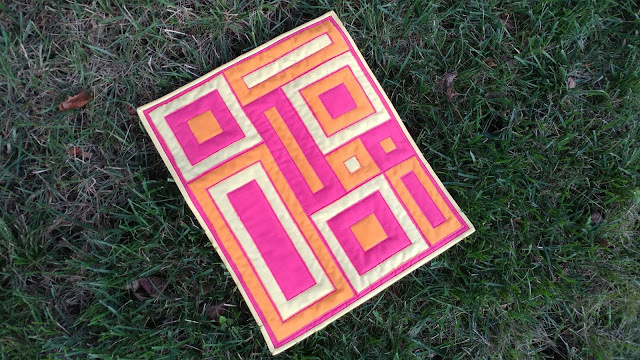 On very rare occasions, and only for very special circumstances, I make things other than quilts. Just a few weeks ago, my oldest two boys (ages 3 and 5) started attending AWANA at our new church. 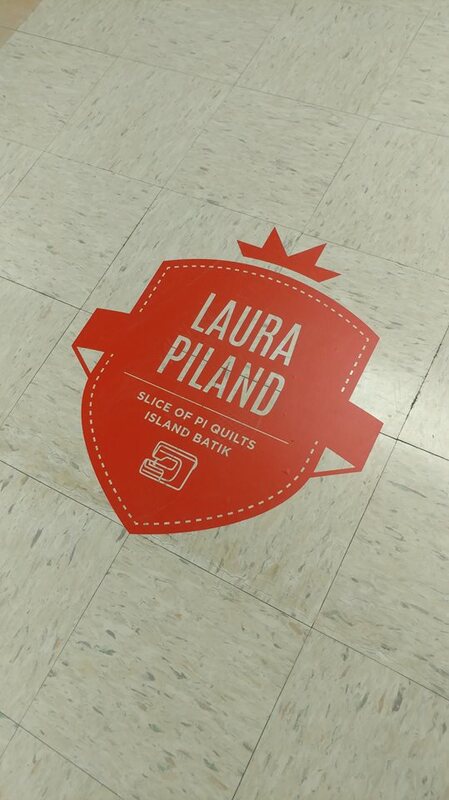 When signing up, there were several supplies we needed to purchase. 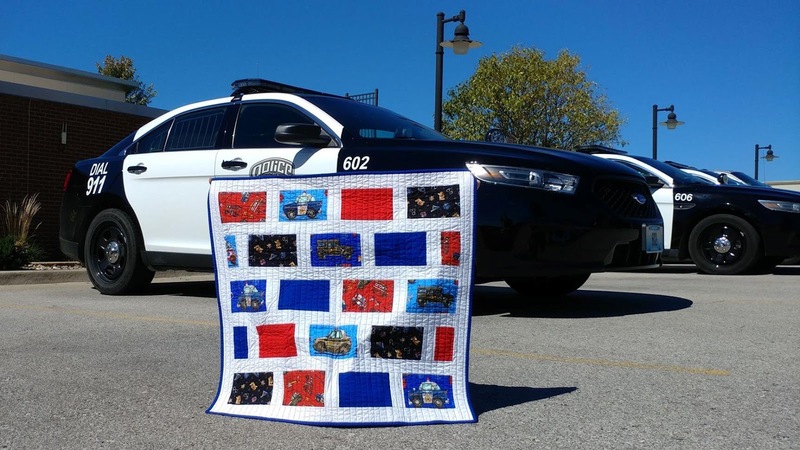 There was a vest that they will put patches and pins on as they earn them and books with the lessons and Bible verses. 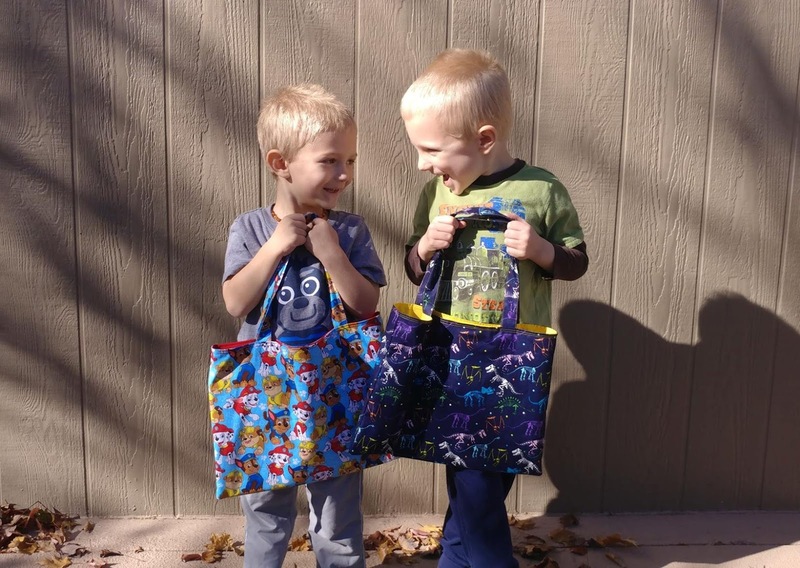 The tote bag was listed as optional but highly recommended. 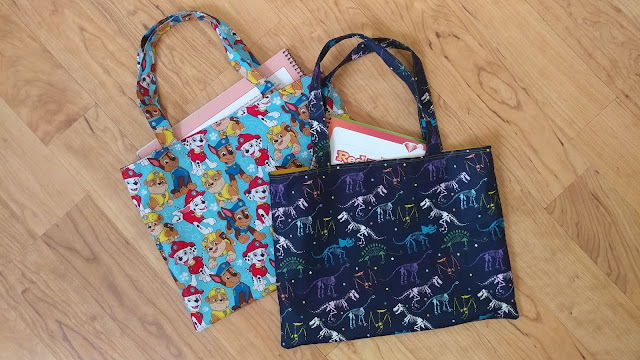 The price tag on the tote bag was a bit steep, so of course I said I could make them one instead! Have you seen those memes on Facebook that say something like, "Why buy it for $7 when you can make it yourself with $92 of craft supplies!"? Well, that's a bit representative of this story too! But handmade is always worth it! 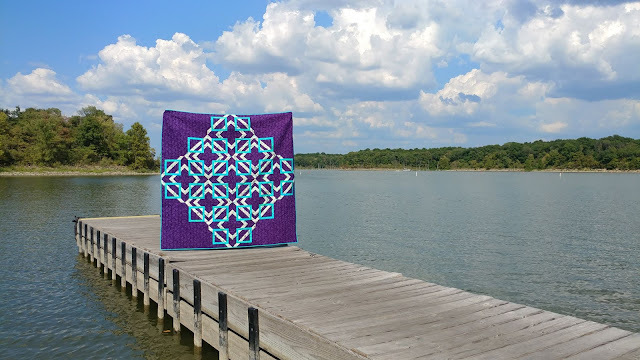 This month's Island Batik ambassador challenge was to create a quilt using the traditional log cabin block, but like usual, I wanted to challenge myself to make it a bit more modern. 2019 Aurifil Designer of the Month Team Announced! I have been like a balloon about to pop waiting to tell you this exciting news!! 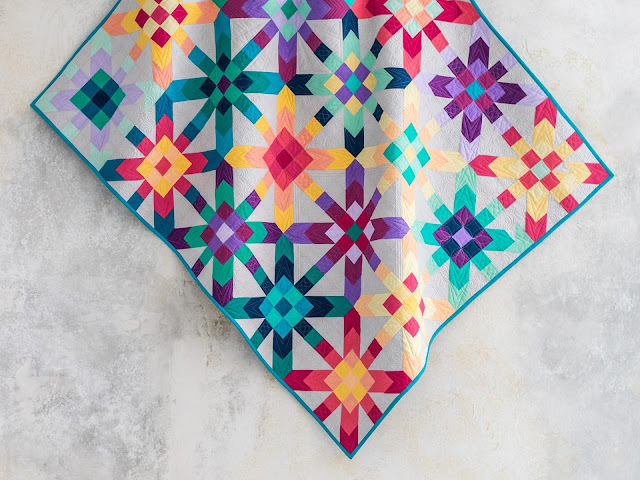 I am part of the 2019 Aurifil Designer of the Month Team!! A few weeks ago, a soon-to-be first-time grandma asked if I could make a quilt for her grandson. 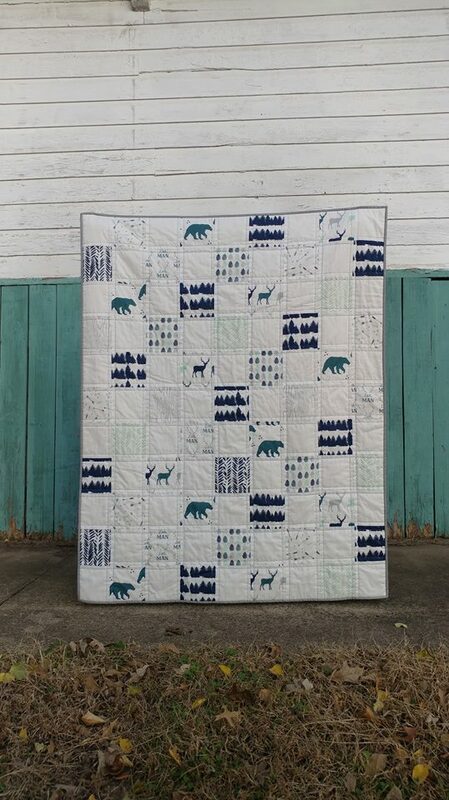 After a few messages back and forth to iron out the details I got started on a quilt for her new little man! 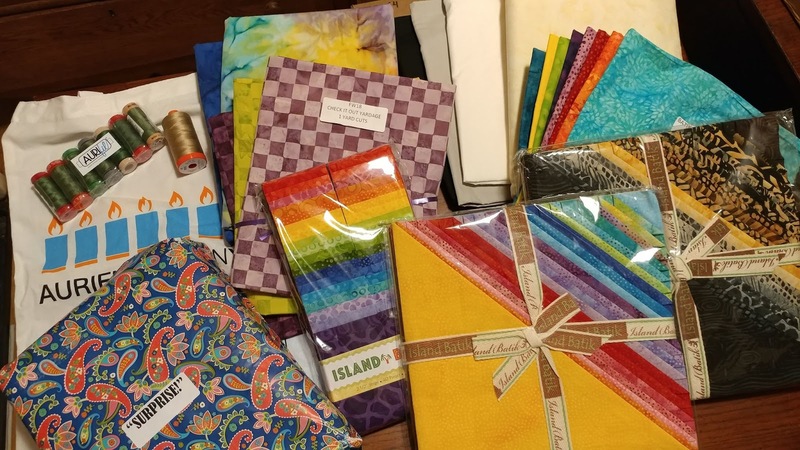 This month's Island Batik ambassador challenge was paper piecing. 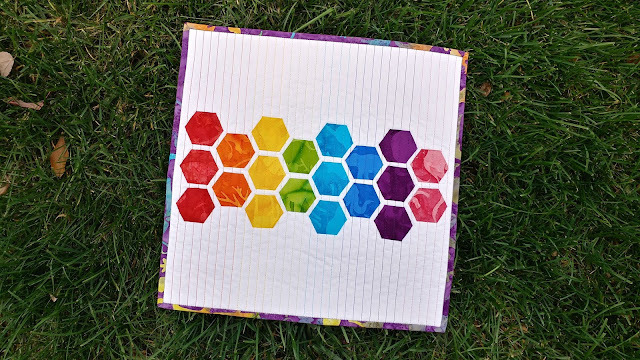 When trying to decide what to make scouring Pinterest for ideas, I remembered I had already made a small stash of hexies earlier this year from the Petting Zoo collection! It was their time! 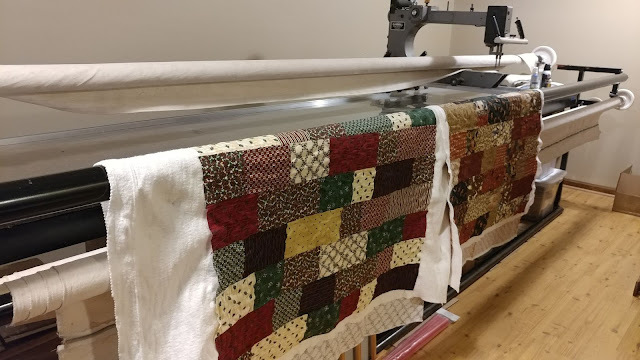 Have you done any charity sewing this month? 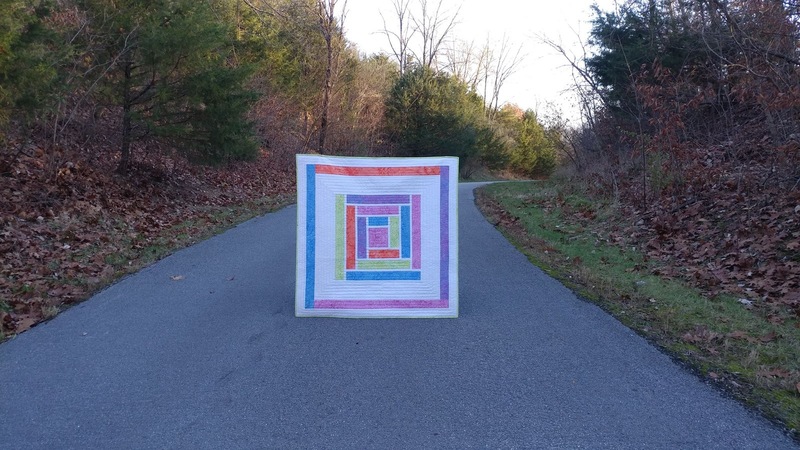 I am happy to be adding three more finished quilts to my charity quilt count for the year! 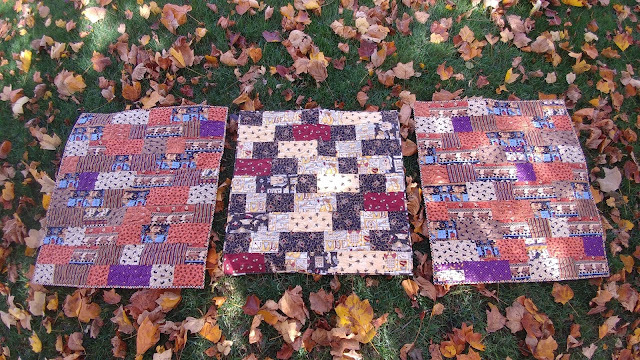 These three bring my charity quilt count to 15! 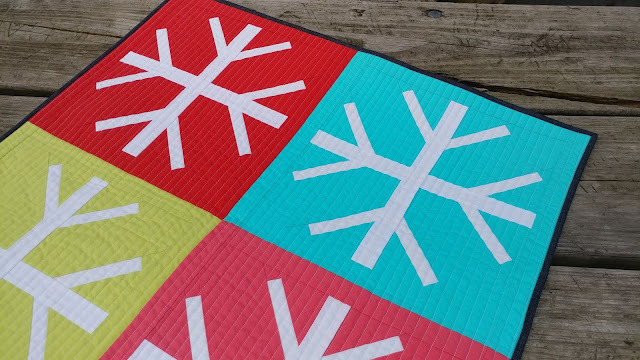 I'm so excited to finally be able to share this version of my Flurry quilt with you that I made earlier this year! 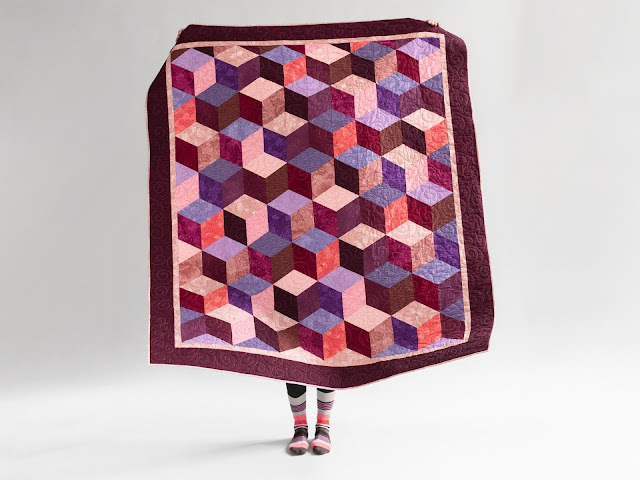 Have I mentioned how hard it is to keep quilty secrets?!? 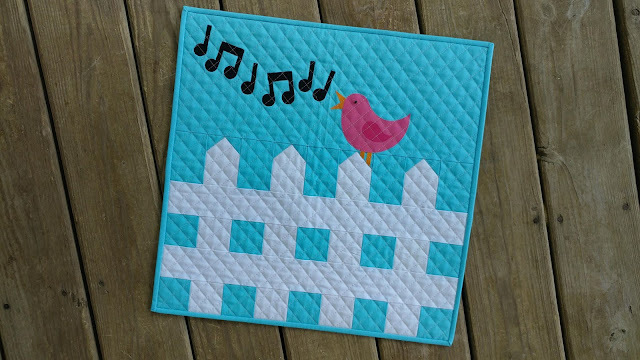 Last week, Kristi at Put a Quilt on It issued a fun design challenge: design a quilt block that you would want to see on a barn quilt. 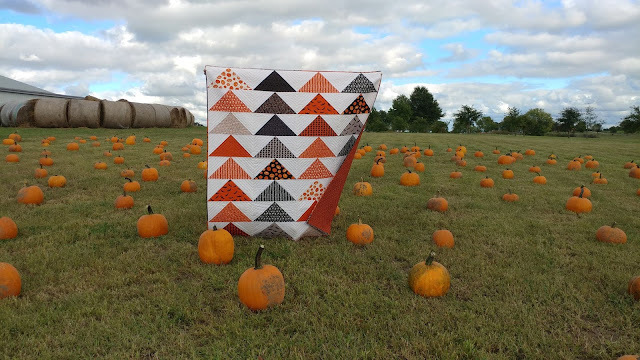 The winner would get their design as a painted barn quilt! I knew immediately I wanted to participate! 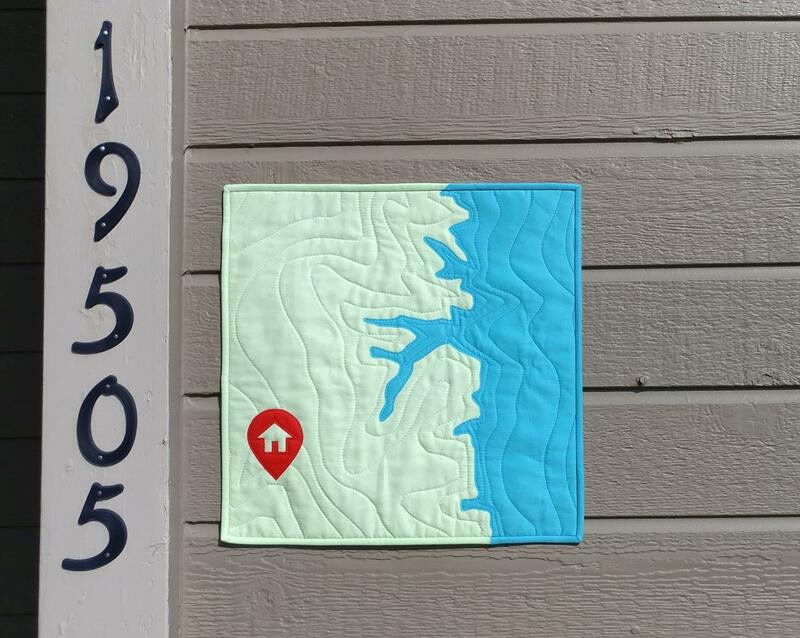 After a few days of being indecisive on what I would want to "permanently" display on our house, I thought of a brilliant (to me) idea: a Christmas barn quilt! 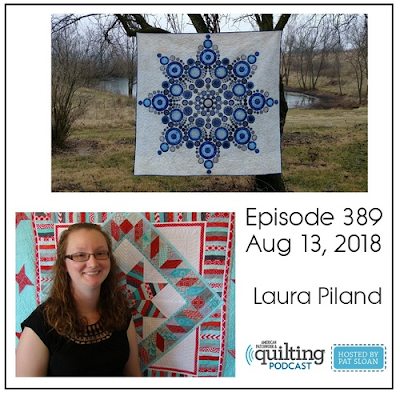 This month's charity quilts didn't go as planned! 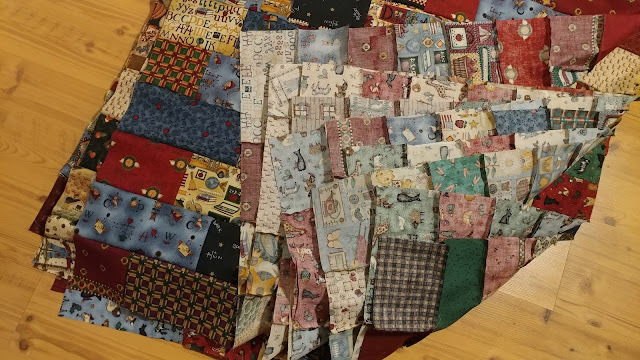 My goal was to put binding on several of the baby quilts I've longarmed recently. However, I ended up making three large throw quilts for foster teenagers instead! 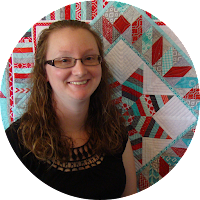 Welcome to my stop on the Free Motion Fantasy Blog Hop! 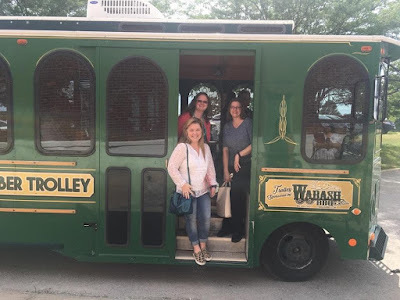 I'm sharing lots of pictures in this post, but be sure to stick around to the end - there's a giveaway! When I saw the Free Motion Fantasy fabrics by Amanda Murphy, I was immediately in love! Amanda created the line specifically for using it for free motion quilting. 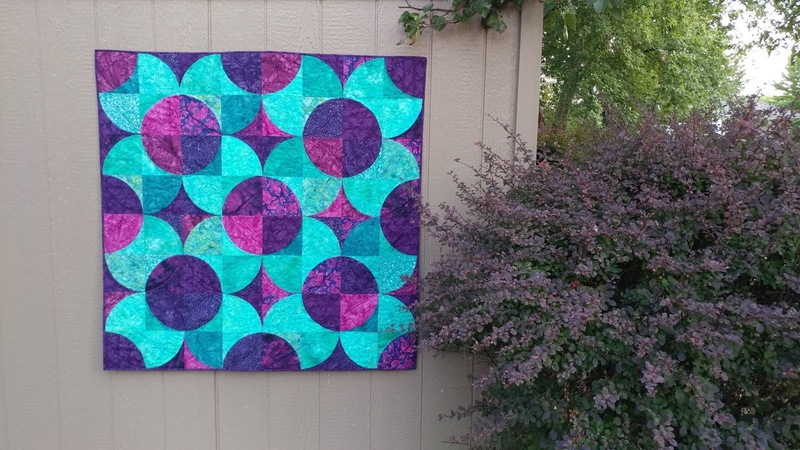 Every print correlates to a free motion quilting design! 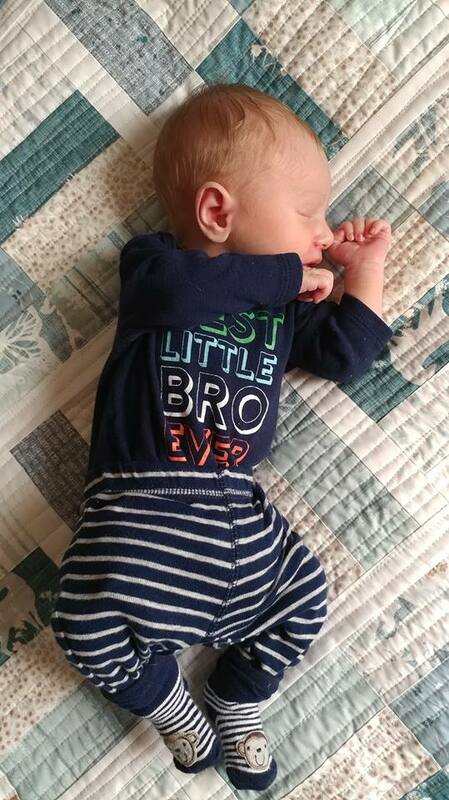 Since I'm 36 weeks pregnant with kiddo #3, I have baby on the brain! Right away, I knew I wanted to try making a quilted baby changing mat. 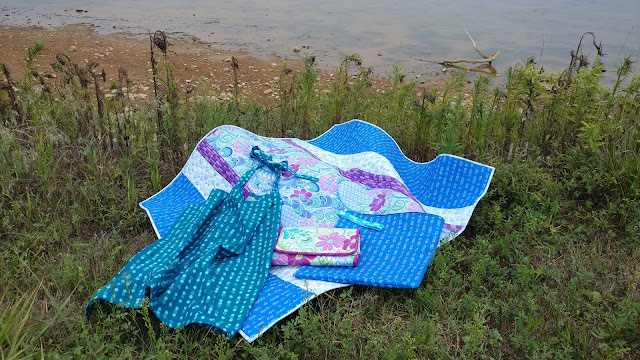 Benartex generously sent me the fabrics for the changing mat, and a few extra too! 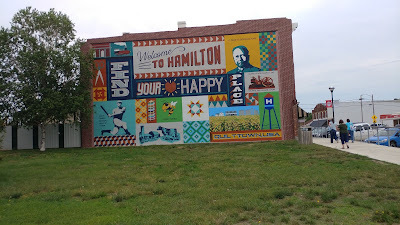 When we moved into our new house just a few weeks ago, I was surprised to see that the neighbors on both sides of our house were also expecting! 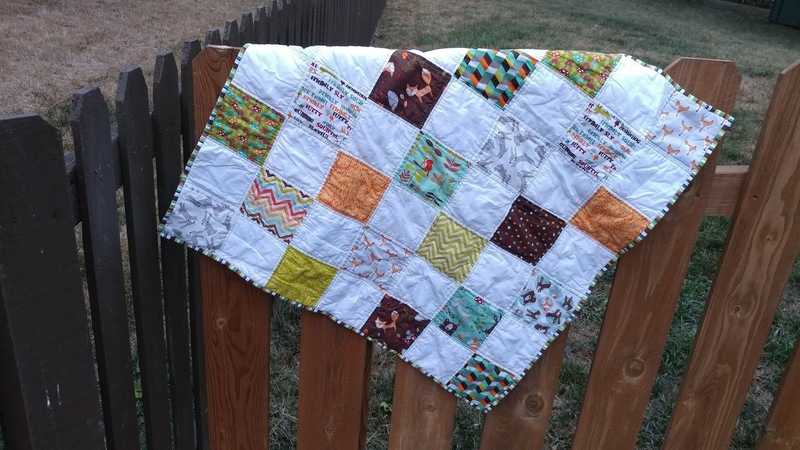 Of course I thought a baby quilt would be a better "meet your neighbor" gift than my usual quick bread! You all know I love trying new things - and today is a day for something new! I'm a guest on Pat Sloan's American Patchwork & Quilting podcast! I set a goal at the beginning of the year to make 52 charity quilts this year. (Read more about it here.) We are at the halfway mark, and I'm SO excited to share with you this month's update! 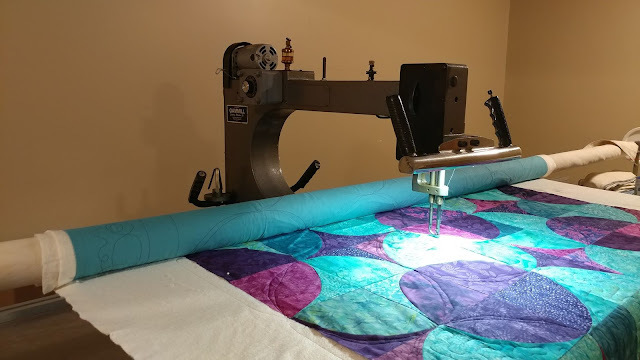 This month, I got five of my tops quilted - ON MY NEW (TO ME) LONGARM!!! This year was the first year both of my sons played t-ball. 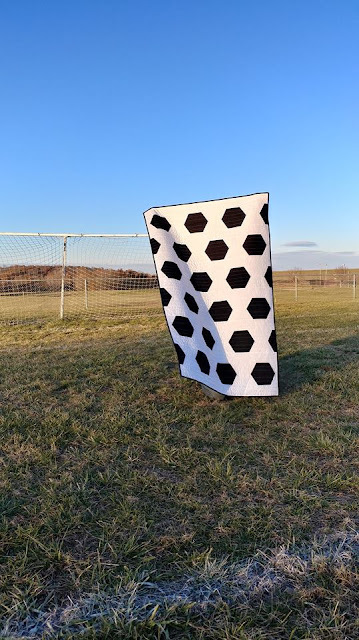 My youngest is three, and it became apparent within just a couple practices that his coach was more than the usual parent volunteer. 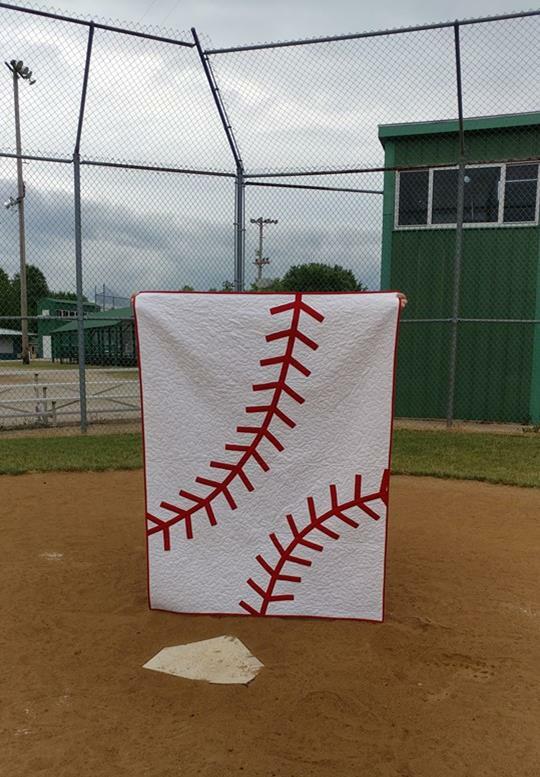 His coach is a parent volunteer, but she is coaching all three of her son's t-ball and baseball teams! 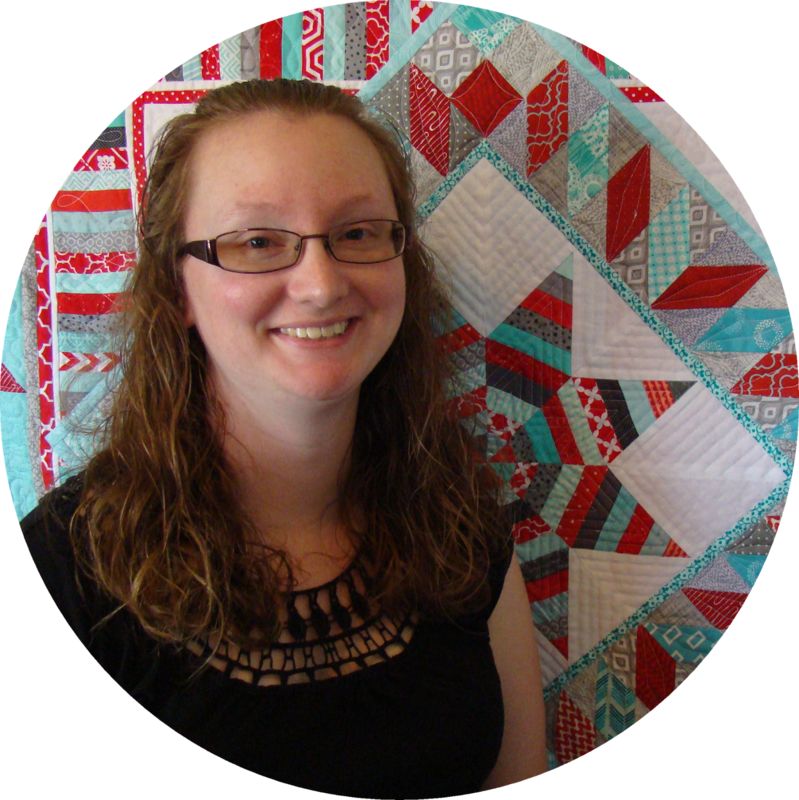 She has a full-time job, then gave up all of her weeknights to coach teams of little people. Her enthusiasm and positive attitude was contagious. Her patience, kindness, and encouragement to the players (and the parents!) was remarkable. 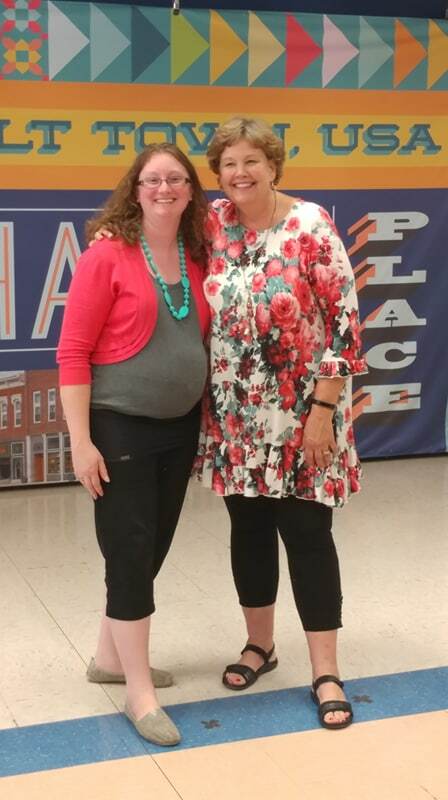 I haven't been a baseball mom for long, but it doesn't take an expert to know when you meet someone exceptional. I wanted to say thank you in a way that would capture my gratitude and appreciation for all that she did for the team(s). And the only way I know how to thank someone to this level is to make a quilt. It's time to Row x Row! Do you Row x Row? Today is the first day to start collecting free patterns from shops all around the world! 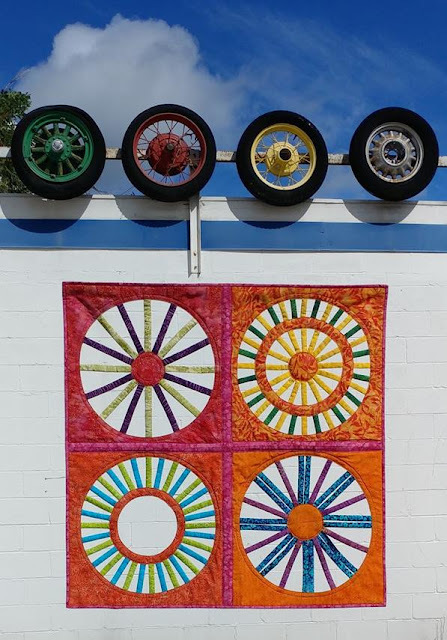 My local quilt shop participates each year, and I have been honored to write their pattern for the third year. 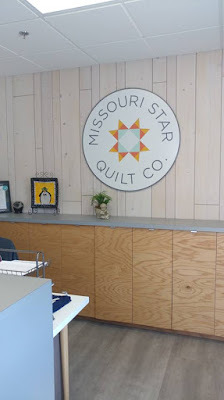 Last week, I traveled to Hamilton, MO to the Missouri Star Quilt Co. to teach at their 2nd annual Missouri Star Academy! Island Batik invited me as one of three teachers they sponsored (the other two were Tammy of Tamarinis and Jessica of Desert Bloom Quilting). This was my first time visiting Missouri Star Quilt Co. They really knew how to roll out the red carpet for us! This month's Island Batik ambassador challenge was to make a modern quilt, crib size or larger. Well, that's what I try to do around here every day! The most challenging part of the quilt was limiting myself to the fabrics Island Batik has sent me as an ambassador. 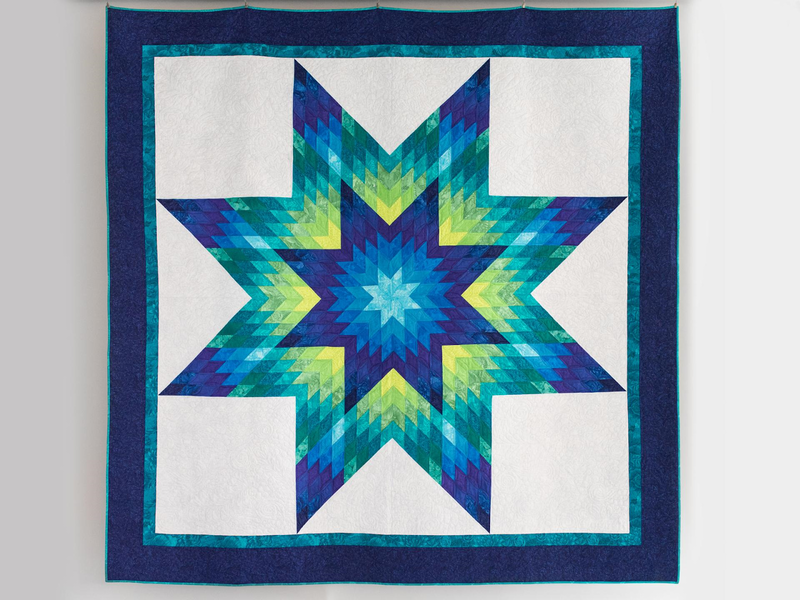 Every idea I came up with was color specific, and I never had just the "right" colors. 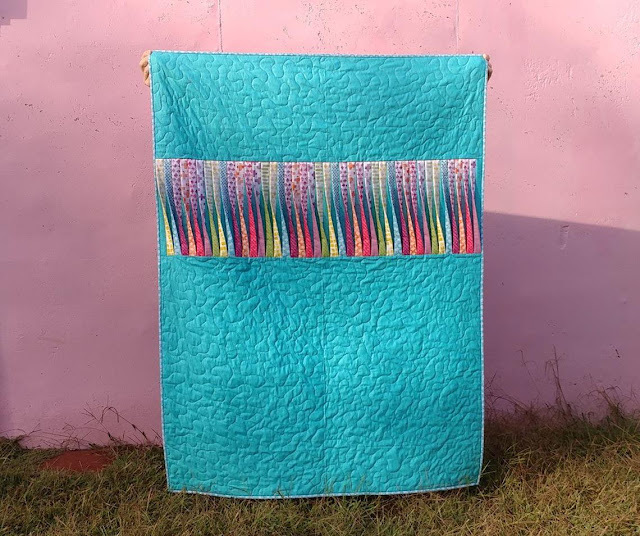 I've created a few woven quilts (like this one and this one), even a couple open woven quilts (like this one and this one). I absolutely love the texture and uniqueness produced with each weaving. 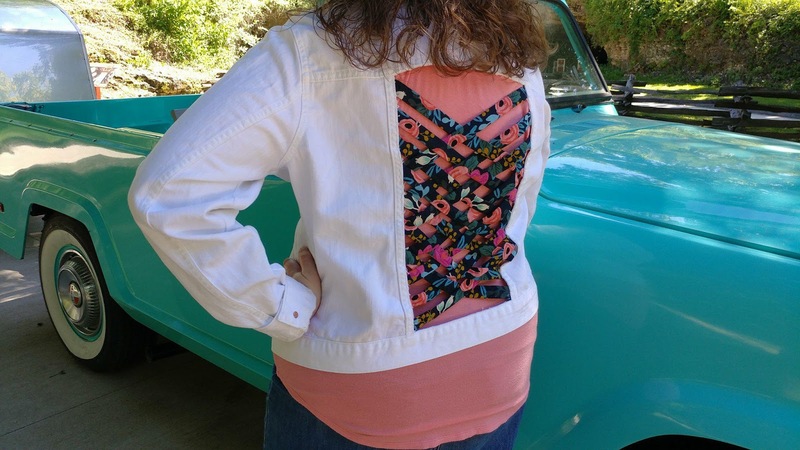 So when I saw Tara of WEFTY Needle putting her weaving into a jean jacket, I knew I had to copy the idea!